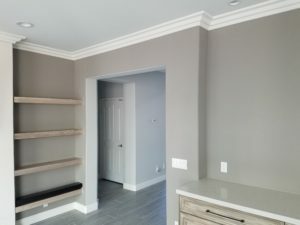 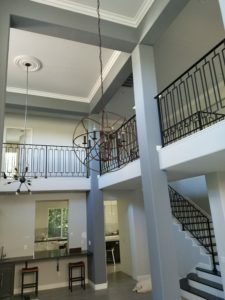 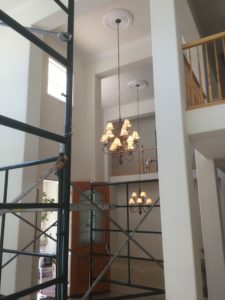 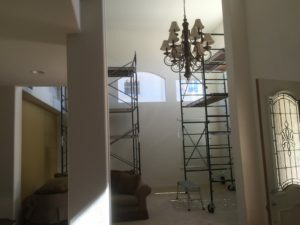 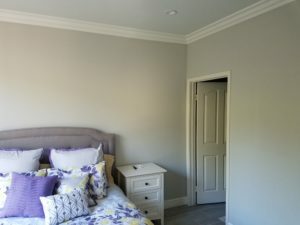 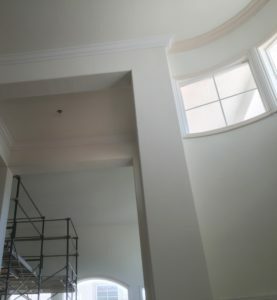 After pulling out the scaffolding and packing up our tools from this Porter Ranch crown moulding and ceiling medallion installation, the homeowner continued with other work including hardwood floors, painting, installing new lighting fixtures and opening up the wall to their kitchen from their dining room. 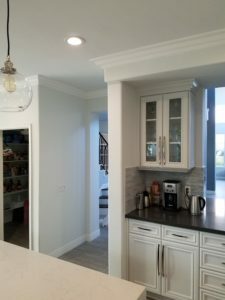 Quite a transformation from the stark interior it began as a home in a gated community. 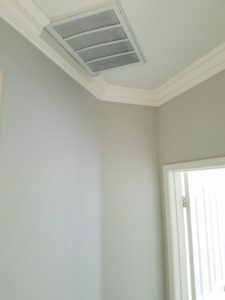 Like many new homes, the path for crown moulding is often obstructed by heating and air conditioning vents and the air return vent was in the path of the crown in one of the hallways. 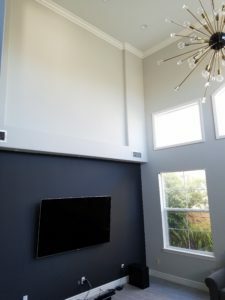 Rather than stop the moulding on either side which would draw attention to the vent I fabricated a section of moulding to pass through the vent area.